I’m sitting in a theatre in Dublin, Ireland next to a beautiful girl from Brittany, France watching a theatre production developed and performed by American university students. The lights are dim, the seats are raised above the stage, the wine and food are plentiful, and there is even a free wine reception after the play. This is going to be a great night and I can’t help but think about the fact that I never could have imagined that I would be here doing this. Every once in a while I try to stop living in the moment and to take a step back and reflect upon the amazing series of events that have led to this moment and the unlikely connections that have caused my current situation to come about. Basically, it’s about not taking my current situation for granted and realizing just how lucking I am to be doing what I am doing. 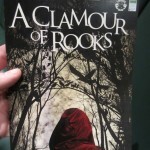 One day in Dublin, I ended up in the theatre production titled “A Clamour of Rooks.” Now, this was a really creative and quite riveting production and I will write more specifically about that in another post. Here, I want to focus on some of the events that led me to this theatre production and how, if just a single one was changed, I would not have been there at all. I am sitting in a theatre watching an original production called “A Clamour of Rooks” produced and created by a group of U.S. University students in collaboration with a theater director in Dublin, Ireland. 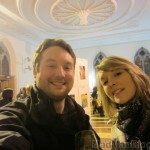 I am sitting next to a French girl from Brittany (my friend Chloe) in a theatre in Dublin. Oh, and did I mention that there was a wine reception after the play? 😉 So, we went to a really nice theatre production, got a lot of free wine afterwards, and had a great night with some great people from around the world. One day at my hostel I was sitting near a girl at breakfast and decided to strike-up a conversation with her. She seemed like a nice girl and so I figured I would see what she was doing in Dublin. After getting to know her a little at breakfast, she and her friends had a few drinks with me and my friends (though not that morning at breakfast) and that’s how we ended up getting to know them and, therefore, learning about the play in which they were creating and performing. Had I not been feeling social that morning, I would have never met this girl. Had she sat in the other room, I would never have met her. It is amazing how just one simple “hi how are you?” can change the outcome of your life, or at least the adventure that is your life at that moment. Going back a little further, I was only at that hostel in the first place because of Chloe, who I met in my first hostel. 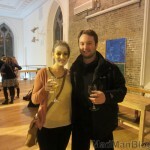 I met Chloe the very minute I checked-into my first hostel in Dublin. We both checked-in at the same time and were in the same room and I said “hi” and we started talking. She didn’t know anyone there and neither did I. She invited me to meet up with a contact she had been given the night before and to go out for a beer; her meeting was in five minutes. Had I been just five minutes later, I may never have met Chloe or never have gone out for a drink with her and her contact. Had I never gone out with her that night, I never would have changed hostels and met the American girls that were in the play. I ended up in the hostel where I met the American theatre girls because I went out with Chloe that night and we met people in another, much better, hostel. Therefore, we both decided to switch hostels and go to the one where we eventually met the theatre girls. That’s how I met Chloe and the American theatre girls, but, before I could even get to Dublin to meet with Chloe, we must go back to why I was in Dublin in the first place (don’t worry I won’t go back any farther than this ;P). While in Scotland, I met a cool person who was going to visit Dublin. Since we got along, we decided it would be fun to explore Dublin together. That is how I got to Dublin in the first place. And I only even met this person because the people in my room were so crazy (SO CRAZY – this will be for another article too) that I actually had to change rooms at 6:30am because I couldn’t stand the craziness and I met this person in the hall while changing rooms and we started talking. So, you can see that there are many circumstances that led up to the very cool and interesting night that was filled with a collaborative theatre production and a fun wine reception. But, the most important thing that I have learned so far in my travels is that you have to say “YES” if you want your life to be exciting. Say yes to traveling to Dublin with someone you just met; say yes to going out with a shady-sounding contact of a person you just met 2 minutes ago in a hostel in Dublin; say yes to talking to anyone and everyone you come across in a hostel; and say yes to the adventures upon which they invite you!